Let’s not mention Australia vs. Pakistan (except to say I hope we get up and win the next Test). But in other news, the God’s Design Perth Facebook page hit (and passed) the 100 “likes” mark overnight! Now, that’s better than being out for a duck! 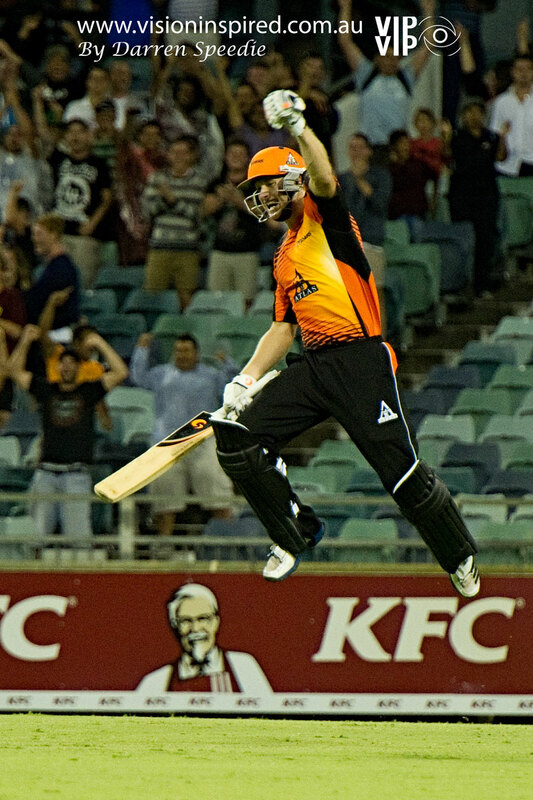 Mike Hussey celebrating a win for the Perth Scorchers in the Big Bash League. Photo courtesy of Vision Inspired Photography, http://www.visioninspired.com.au. If you have a WordPress acoount, you can follow the blog in WordPress. You’re also more than welcome to share the blog or any of the posts with friends if you are enjoying the content here. So thank you all once again, and I’m looking forward to notching up a few more runs as time goes by. Previous: Previous post: Welcome, visitors from The Junia Project!